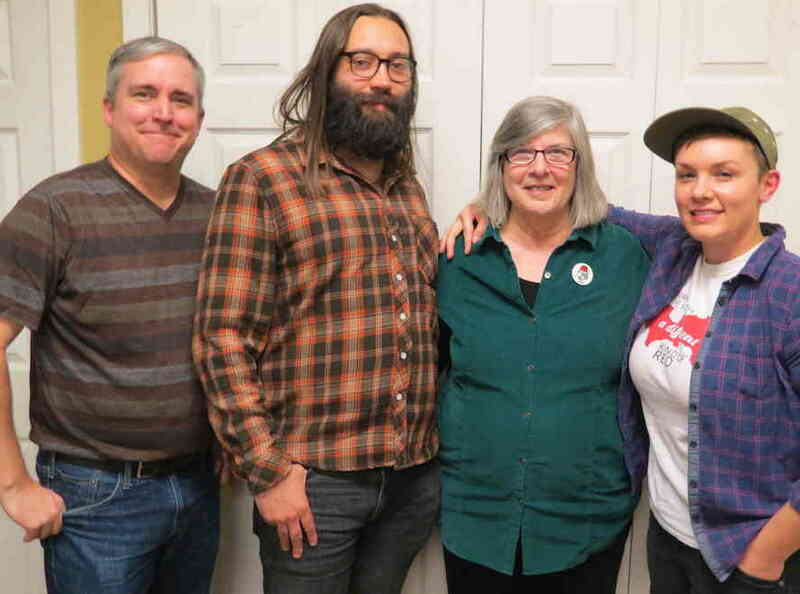 Our guests include the author of a cool new book about Timothy Leary, health justice and climate change activists, a Virginia Democratic Socialist, an acclaimed jazz musician, and classic Austin rockers. 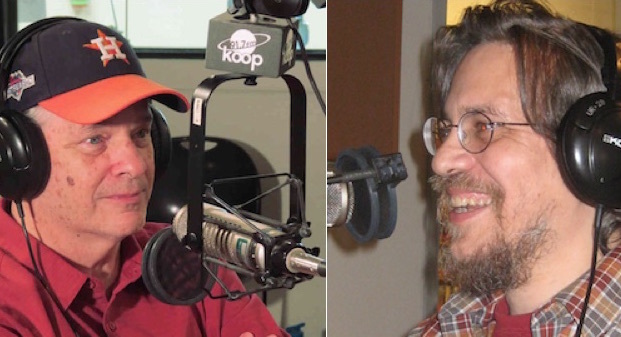 Rag Radio host Thorne Dreyer, left, and author Bill Minutaglio in the KOOP studios, Feb. 2, 2018. Photo by Roger Baker / The Rag Blog. 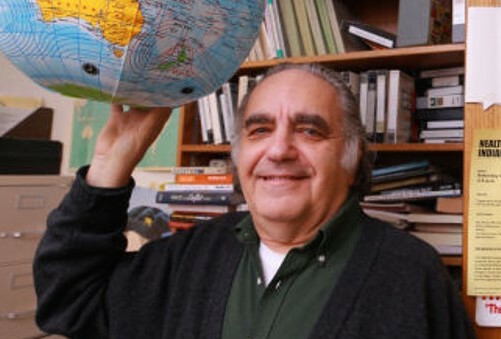 Thorne Dreyer’s guest is author and political scientist Harry Targ. Taking from MLK’s “Three Evils”: Poverty, Racism, and Militarism, Harry talks about new social movements and the need to organize around social and economic justice at home and against war overseas. Targ discusses the convergence of Sen. Bernie Sanders and the Rev. William Barber in an upcoming “public conversation” — and their respective movements: Our Revolution and the New Poor People’s Campaign (growing out of Moral Mondays). We also discuss the U.S. as a declining empire and the added danger of nuclear weapons in the mix. 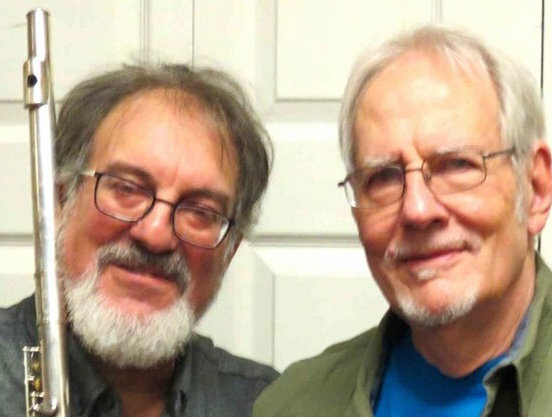 Thorne Dreyer’s guest is award-winning jazz saxophonist and flutist Alex Coke, and the show includes live performance. Dallas native Coke was an original member of the Austin-based Creative Opportunity Orchestra and performed with famed jazz vocalist and composer Tina Marsh in various formations for over 25 years. Coke toured with the internationally-renowned Dutch jazz group, the Willem Breuker Kollektief. ♦ Spencer Perskin & Shawn Siegel: Shiva’s Headband turns 50! 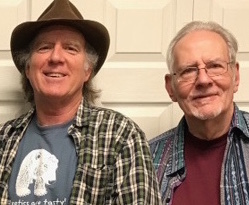 Spencer Perskin and Shawn Siegel were founding members of Shiva’s Headband, a pioneering Austin psychedelic-blues band that just celebrated its 50th anniversary. They perform live on this show. 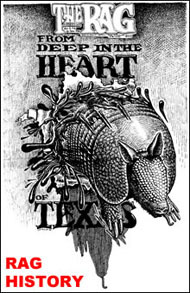 Shiva’s was house band at Austin’s original Sixties music hall, the Vulcan Gas Co., and was the first group to perform at the historic Armadillo World Headquarters, which was founded and funded by Spencer Perskin. 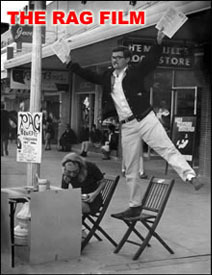 “Take Me to the Mountains,” produced by Perskin for Capitol Records, was the first record released nationally by an Austin band. Shiva’s had deep roots in the community and played benefits for progressive groups, including Austin’s underground newspaper, The Rag. 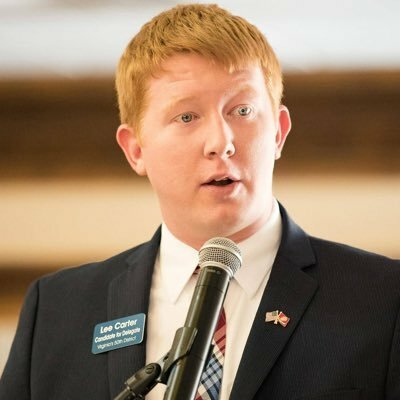 Thorne Dreyer’s guest is Lee Carter, a red-headed ex-Marine and a democratic socialist, who was elected to the Virginia House of Delegates on Nov. 7, 2017. Carter beat House Majority Whip Jackson Miller, a deep-pocketed honcho of the state Republican Party, by an astounding nine points. We discuss his winning campaign strategy and the effect of running openly as a socialist in the era of Trump; the inspirational role of Bernie Sanders; the meaning of the November 7, 2017 Democratic surge and what the electoral strategy should be moving forward; his plan to focus on working class issues, getting money out of politics, single-payer health care, and Net Neutrality. 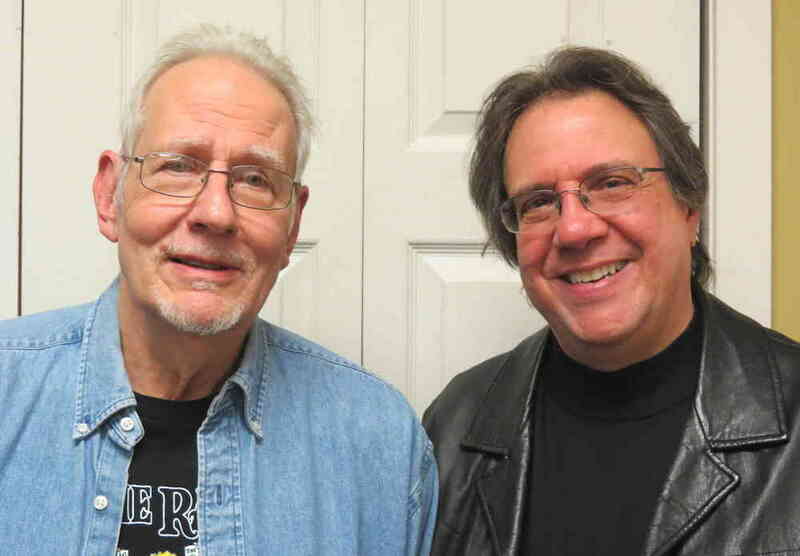 Rag Radio political analyst Glenn Smith once more joins host Thorne Dreyer as they try to make some sense out of the cascading events on the U.S. political scene. They discuss the Democratic grassroots momentum following the November 7, 2017 victories in Virginia and throughout the country. They talk about the prospects for a Democratic sweep in the 2018 mid-term elections and the possibility of Texas becoming “purplish blue” like Virginia. They also discuss the Republican tax bill, the sexual harassment charges against Roy Moore, Al Franken, and Trump himself, and much more. 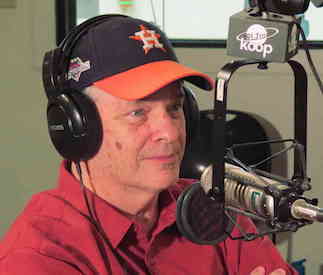 Rag Radio, a weekly hour-long syndicated radio program that has aired close to 400 original shows since September 2009, is produced and hosted by Rag Blog editor Thorne Dreyer. Tracey Schulz is engineer and co-producer. 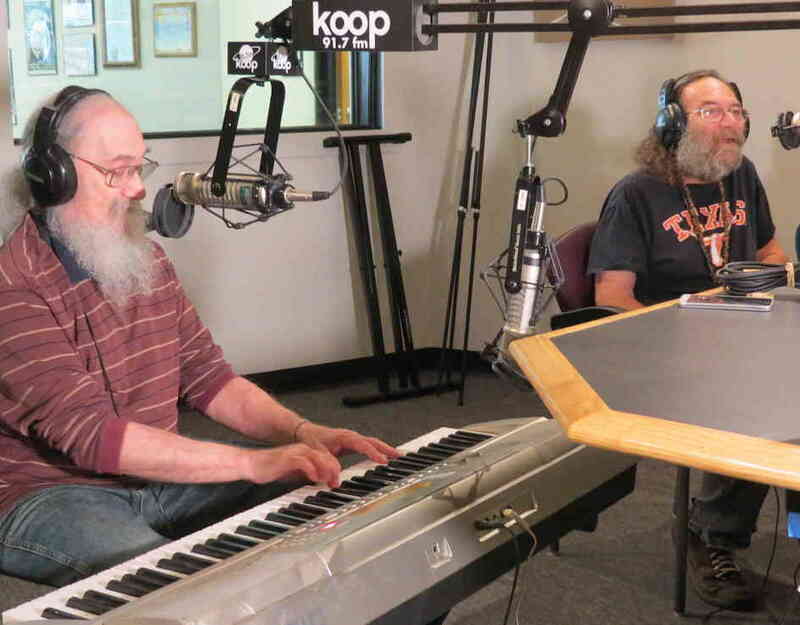 Rag Radio is produced in the studios of KOOP 91.7-FM, a solar-powered cooperatively-run all-volunteer community radio station in Austin, Texas, and is first broadcast live on KOOP every Friday from 2-3 p.m. (CDT) and streamed live on the web. 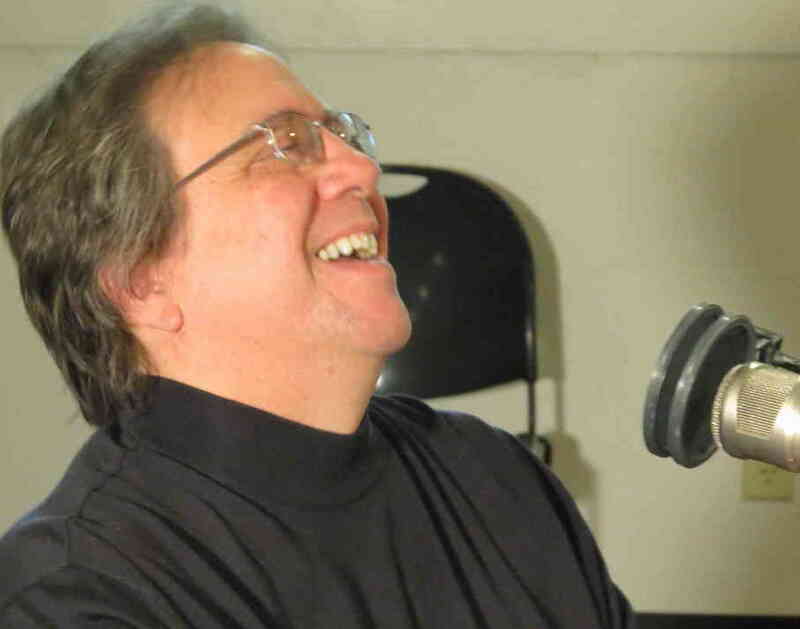 All Rag Radio shows are posted as podcasts at the Internet Archive. This entry was posted in RagBlog and tagged Alex Coke, Alice Embree, Bill Minutaglio, Bruce Melton, Glenn Smith, Harry Targ, James Cole, Lee Carter, Nicole Stasek, Podcasts, Rag Blog, Rag Bloggers, Rag Radio, Roy Casagranda, Shawn Siegel, Shiva's Headband, Spencer Perskin, Thorne Dreyer. Bookmark the permalink.